If you’re looking to liven up your mealtimes with exotic flavours and hot spices then turn to Just Trading Scotland (JTS). Scotland may not be your first choice when it comes to finding exciting new flavours reminiscent of eastern culture, but JTS act as a distributer in the UK for fairly traded food products from smaller brands based mainly in Asia and Africa. 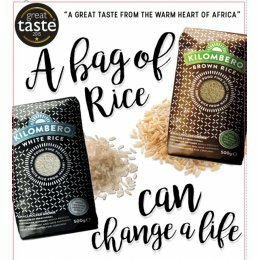 The company has long lasting ties with brands like Eswatini Kitchen who produce jams and preserves using tropical fruits and spices, and U-Kuva iAfrica who make delicious herbs & spices along with flavoured sauces that bring a taste of Africa to your kitchen. JTS sees trade as a vital key to rectifying injustices and wants to help small farm holders and businesses in developing countries work their way out of poverty by introducing them to the global market in a fair and sustainable way so that nobody is taken advantage of.